Colombia's government on Monday said it signed two exploration and production contracts with Shell in offshore areas of the Caribbean Sea that will require the company to make initial investments of $100 million. 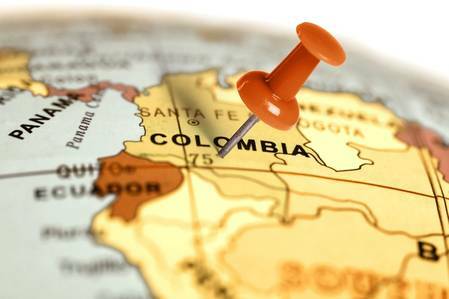 Colombia recently modified contractual terms for offshore exploration and launched a Permanent Area Allocation Process so companies can apply to explore in areas of interest, offering 20 blocks as part of a strategy to boost the oil sector. "The signing of these contracts revalidates the confidence of oil investors in exploration of our offshore resources in the Caribbean," National Hydrocarbons Agency (ANH) President Luis Miguel Morelli said in a statement. The investment could surpass $650 million if exploration continues, he said. Shell will explore blocks COL 3 and GUA OFF 3, which cover about 880,000 hectares. Its investment adds to almost $400 million recently announced by Brazil's Petrobras in Colombia's Tayrona block and state oil company Ecopetrol in block COL-5. Colombia has proven reserves of 1.78 billion barrels of oil, equivalent to 5.7 years of consumption, according to the Ministry of Mines and Energy. The government wants to boost its hydrocarbon reserves to guarantee its self-sufficiency.